Doctor Who: The Original Season 23 - MISSION TO MAGNUS | Warped Factor - Words in the Key of Geek. Magnus is our next stop as we look back over the Season 23 that wasn't- with the return of some familiar foes. 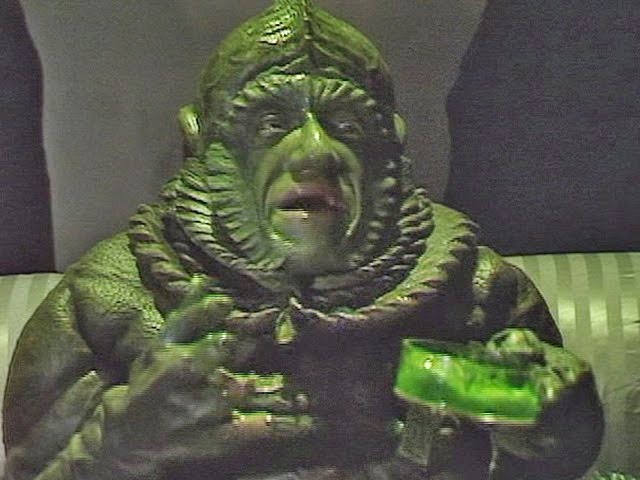 Writer Philip Martin, who had penned Vengeance On Varos, was asked by producer John Nathan-Turner to bring back the menacing talking poo otherwise known as Sil, with a return for the Ice Warriors as last seen at that point in The Monster Of Peladon as another of his stipulations. Of the three scripts which were being considered for transmission before Trial Of A Time Lord surfaced as a reaction against Doctor Who's treatment by the BBC higher-ups of the time, Mission To Magnus was the furthest from completion. As with its predecessors it eventually made it into novel form at least, as well as a later Big Finish Lost Stories adaptation scripted by Martin himself. But what do we know of its plot? It seems an old classmate of the Doctor's is up to something! "The TARDIS is drawn off course by Anzor, a school bully who tormented members of the Doctor's class at the Academy. 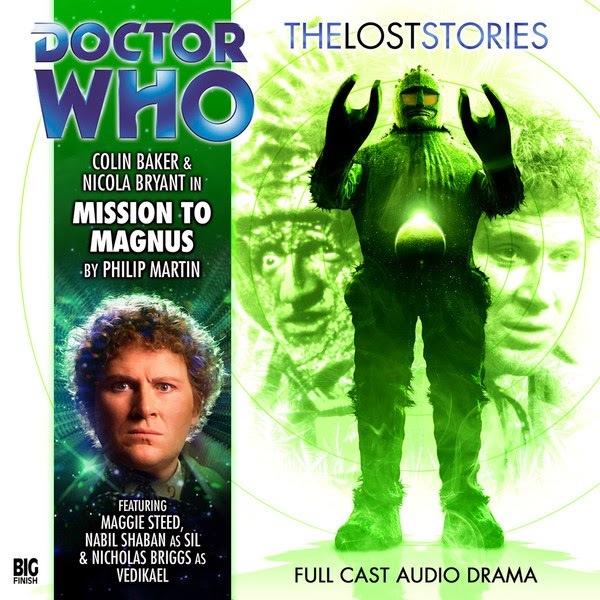 He orders the terrified Doctor to engage his own TARDIS' trans-replicator mode and switch places with him, and the Doctor does so only to find that his TARDIS is now being held captive by an alien spacecraft which is bombarding the planet Magnus Epsilon with radiation. Anzor, meanwhile, completes his journey to the planet's surface, where he is greeted by the planet's ruler, Rana Zandusia. An air-borne virus on Magnus Epsilon causes death to all males exposed to sunlight, but the female rulers of Magnus fear that their neighbours on the planet Salvak have found a cure and intend to invade. 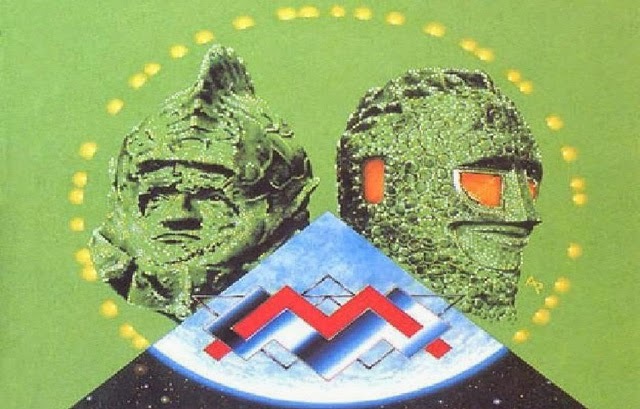 The Magnii have therefore made a deal with the Doctor's old enemy Sil to summon a Time Lord and put their case to him; they wish to travel back in time, prevent the discovery of the virus, and thus stop the war before it starts"
"Peri is captured and taken to the Ice Lord Vedikael for interrogation, and she bargains for her life by offering to serve them. She is thrown into prison with the four survivors of the Salvakan spearhead, who were taken prisoner after their ship was shot down by the Ice Warriors. 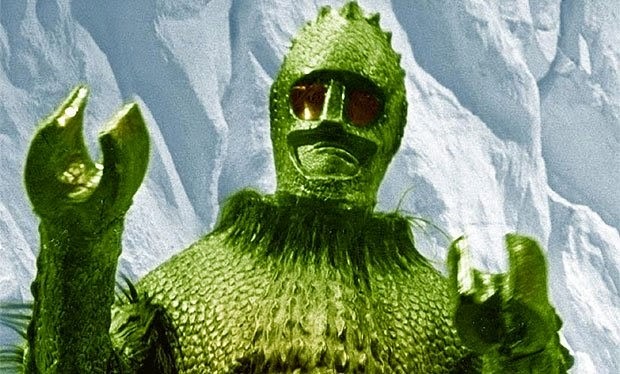 The Ice Warriors are using them as slave labour, to hollow out further ice tunnels and plant nuclear devices in them. The Doctor and Vion locate the Ice Warrior camp, but their attempt to rescue Peri and the Salvakans and to disrupt the Ice Warriors' base is only half-successful; they manage to escape, but two of the Salvakans are killed in the process. 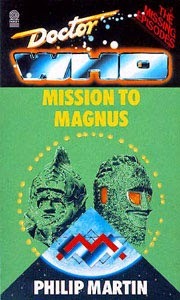 Realizing what the Ice Warriors intend to do, the Doctor sends the others to shelter while he attempts to return to their base and disrupt their plans, but he is too late; the nuclear devices in the tunnels go off in sequence, and Magnus Epsilon is knocked into an orbit further away from the sun. The climate will now change to perpetual winter, and Magnus Epsilon will become the Ice Warriors' new home." Exactly the sort of thing they were seeking to accomplish in The Seeds Of Death when the Doctor was a younger man, the very same one his then- current self had previously helped out of a spot of bother with some Androgums! SIL: You're a reasonable man. Lower the price of your commodity a little, please. GOVERNOR: My people deserve fair prices for the Zeiton-7 ore.
SIL: Who else will buy from you if my corporation withdraws its contract? GOVERNOR: We shall have to find other outlets, I should think. SIL: You are not a rich planet. Zeiton is all you have to sell. GOVERNOR: There are other exports. We're expanding into entertainments and communications with some success. GOVERNOR: The Punishment Dome. We sell tapes of what happens there. SIL: Ah, that is enterprising. Your idea, Governor? SIL: Are they very disturbing, these videos you sell? GOVERNOR: They show what befalls those who refuse to obey the orders by which the people of Varos must live. GOVERNOR: All the functions of the Punishment Dome are recorded as warnings to miscreants everywhere. SIL: But they entertain as well as instruct? GOVERNOR: You must ask my Chief Officer. He is responsible for ComTec Division product. SIL: I will hope to help organise your sales exports, if you consent to lower your Zeiton price. GOVERNOR: I can't. I'm sorry. SIL: Then my patience is exhausted and spent totally. He drives a hard bargain, the whole thing an exploration of territory later mined by Big Brother & the phenomenon of "video nasties" as well as possible inspiration for the Game Station as included in the climax to the Ninth Doctor's ''Bad Wolf'' arc which underpinned his sole series upon the revival of Doctor Who itself. Of course, events in Bad Wolf were being monitored & manipulated by someone much worse than the mid-80s controller of the BBC - an Emperor, at the head of a new breed of religious fanatic Daleks! "I reached into the dark and made new life. I am the God of all Daleks." Still, possibly more palatable than Michael Grade to those fans of a certain age?